Dhatu (tissue) is an entity by which sustenance, growth and nourishment of the body takes place. Dhatu (tissue) are the functional apparatus of the Dosha (body humours). Rakta Dhatu is the 2ndDhatu. It is produced from the Prasada Bhaga of Rasa Dhatu with the help of Bhutagni and Rasa Dhatwagni. Rakta is word originated Sanskrit word from ‘Raj Ranjane’ meaning is to stain. If white cloth is stained with this Dhatu (tissue) it become red coloured hence it is called as Rakta. As it is one of the seven Dhatu, (tissue) it is present in entire part of the body. However it may present in large quantity in some places & may be functioning specifically in context to some organ. Such places are known as Sthana (location) of the Raktadhatu (Blood) Raktavaha Strotas (channel) is main site of Raktadhatu (Blood). Principle organs of this Strotas are liver & spleen. TADASAD, Swapna et al. CONCEPT OF RAKTA DHATU W.S.R. TO RAKTA PRADOSHAJA VIKARA. 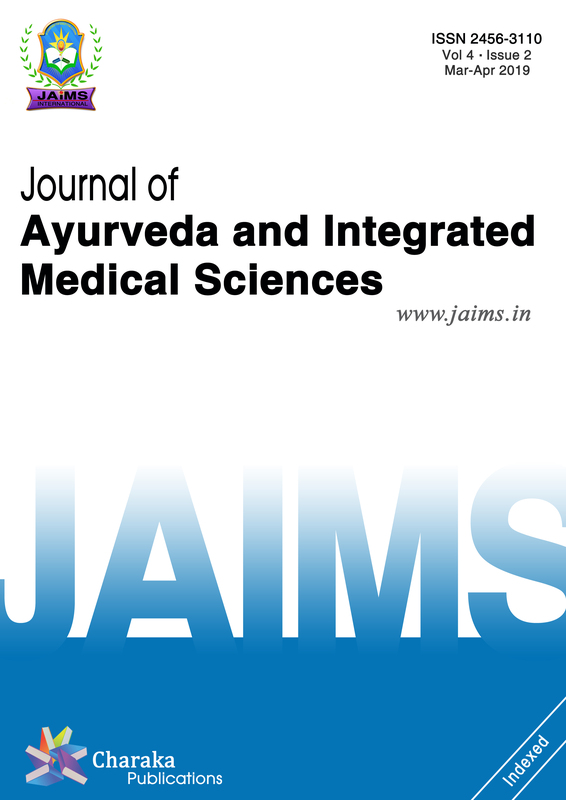 Journal of Ayurveda and Integrated Medical Sciences (ISSN 2456-3110), http://www.jaims.in/index.php/jaims/pages/view/Citation, v. 3, n. 5, p. 187 - 197, sep. 2018. ISSN 2456-3110. Available at: <https://jaims.in/index.php/jaims/article/view/662>. Date accessed: 25 apr. 2019. doi: https://doi.org/10.21760/jaims.v3i5.13842.